Unwanted hair is a challenge to remove—depilatory creams can be ineffective, waxing can be both expensive and uncomfortable, and shaving can produce razor burn. On top of all that, these methods are only temporary. As a superior alternative, laser hair removal offered here at Foothill Cosmetic Surgery Center in Glendora, California, is a permanent way to get rid of unsightly and bothersome hair. In order to find out of this treatment is for you, read on to learn the answers some of the most frequently asked questions about laser hair removal! Where do people typically have hair removed? Men often want to remove the excess hair on their upper and lower back, chest, or hands, whereas women typically want to be smoother on their face, legs, bikini area, and underarms. However, laser hair removal is not limited to these areas. 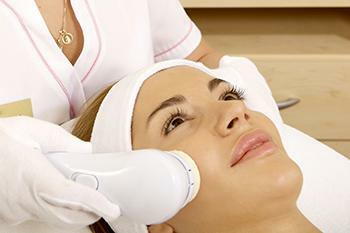 In short, virtually any place on your body with unwanted hair can be treated with our laser! As you probably know, a laser is a very narrow and very concentrated beam of light. When used as a removal tool, lasers are naturally attracted to hair's dark pigment. These hairs absorb this light, which damages their follicles and stops the growth process. Furthermore, your Glendora dermatologist has extensive training on how to operate the laser for optimal safety and best results. Before your laser hair removal procedure begins, your dermatologist will make sure to apply a gel that provides some numbing from the laser's energy as it comes into contact with your skin. However, as we mentioned, the laser's beam of light is very narrow, so the effect on your skin is minimal. Most of our patients describe it as a mild, brief snapping sensation, like that of a rubber band. To schedule a consultation about laser hair removal, contact Foothill Cosmetic Surgery Center in Glendora, California today! Our number is (626) 691-6400.